The element of “political equality” between the two communities has long been in the vocabulary of the UN in its countless settlement efforts, but it has taken on a new meaning now that rich offshore gas and oil deposits have been detected in Cyprus’ EEZ. Turkish-Cypriot leader Mustafa Akinci and Turkish Agriculture Minister Bekir Pakdemirli have reiterated Ankara’s longstanding demand for “political equality” between the Greek-Cypriot majority (which was 82 percent of the population at the time of Ankara’s 1974 occupation of Cyprus) and the Turkish-Cypriot minority, and asserted that the President of Cyprus, Nikos Anastasiades in his rhetoric treats the Turkish Cypriots as a minority. It should be noted that half of the population in the Turkish-occupied north are settlers from Turkey or their descendants, and most Turkish-Cypriots have fled long ago due to the circumstances of Turkish military control. The element of “political equality” between the two communities has long been in the vocabulary of the UN in its countless settlement efforts, but it has taken on a new meaning now that rich offshore gas and oil deposits have been detected in Cyprus’ Exclusive Economic Zone (EEZ) and are being managed by the sole internationally recognised state entity on the island, the Republic of Cyprus. In the EU context, Protocol 10 to Cyprus’ EU accession agreement makes clear that the entire island is admitted to the Union, but that EU law and regulations – the so-called European acquis – is suspended in the Turkish-occupied north pending a settlement of the Cyprus problem. Though Anastasiades and his predecessor, Dimitris Christofias have said that the a proportional part of future profits will be earmarked and put aside for the Turkish-Cypriots until a solution is reached, Ankara wants to get its cut here and now, and appears to want to extend “political equality” [with two component states in a federation as the UN states, or a confederation as Ankara wants] to include economic equality, i.e. equal rights over the country’s rich natural resources. The purchase of two oil and gas drills for drilling off the coast of the Turkish-occupied north is the most palpable expression of Ankara’s claims, which however extend over the entire area of the island’s EEZ. “It is not and never will be acceptable to have a status quo under which one side is the owner of the island and the other side is viewed as a tag-along, as a minority. Now, it is a precondition [for a Cyprus Problem solution] that the Greek-Cypriot leadership change its mentality on this issue,” Akinci said at today’s meeting with Pakdemirli. The greatest obstacle to a solution at the last settlement talks between the two sides at Crans Montana, Switzerland, was the Turkish side’s insistence on a right for Ankara to intervene even militarily when it sees fit. That is Ankara’s specious interpretation of the 1960 Treaty of Guarantee, one of three treaties that ended British colonial rule and established the independent Republic of Cyprus, in which the problematic partnership set up in the treaties between the two communities in a united island turned sour in the first three years. “Turkey, as a guarantor power, will continue as always to support the existence, security, and prosperity of Cyprus. The Cyprus Problem is a national issue for us. We support the just struggle of Turkish-Cypriots and will always be by their side,” the Turkish agriculture minister stated. “Ankara and the Turkish-Cypriots made every effort to solve the Cyprus Problem, but unfortunately due to the stance of the Greek-Cypriot side we could not achieve results,” he declared. Pakdemirli said that, “The Greek-Cypriot administration sees the Turkish-Cypriot people as a minority. Just as the Turkish-Cypriots do not accept that, nor can Turkey.” He said that new paths must be sought in consultation with the “mother country” [Turkey]. Ankara exercises decisive influence over the regime in occupied Cyprus, which is not at all true in the relationship between Athens and Nicosia. Akinci noted that efforts at new UN settlement talks are underway, with UN special envoy Jane Holl Lute holding consultations with Anastasiades and himself as well as with the three guarantor powers (Greece, Turkey, and the UK). “In the system that is expected to be established, UN documents state that there are no majority-minority relations. Political equality involves effective participation in decision-making. Nikos Anastasiades recently has attempted to convey the message that the common (federal) state will be administered by them and that the Turkish-Cypriots will be there as a minority,” the Turkish-Cypriot leader declared. 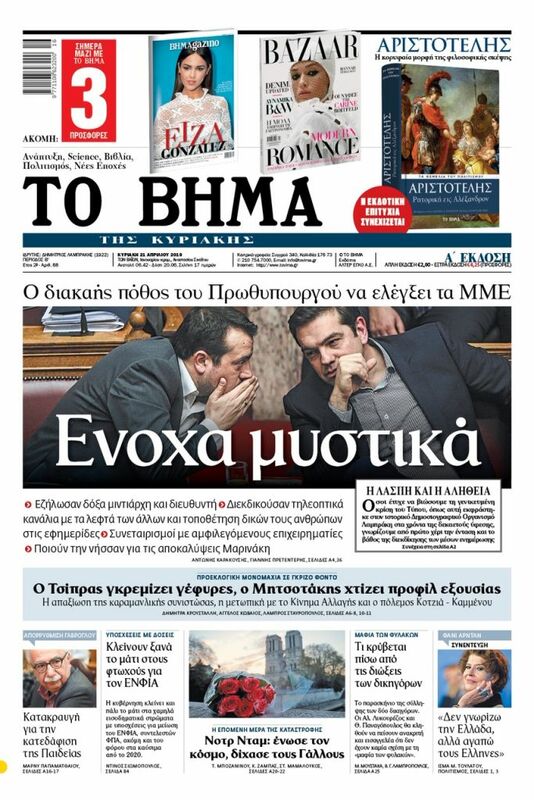 However, Anastasiades has said no such thing. 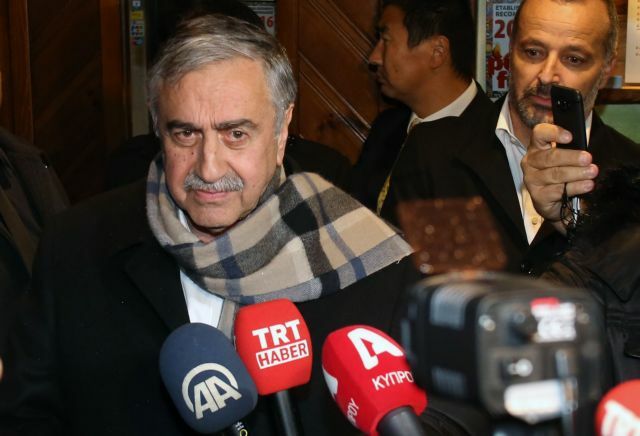 Akinci stressed that leaving Ankara and the Turkish-Cypriots out of energy policy in the Southeastern Mediterranean, as that will create new tensions.